It’s no secret that blogs need unique, high-quality content to succeed. Without strong content, there’s no reason for people to visit them. While you can always create content by hand, another solution is to outsource this task to guest bloggers. Guest bloggers will write and submit blog posts in exchange for a link pointing back to their own website. You benefit from the free content, and the guest blogger benefits from the link and traffic. But not all guest blog posts are worth publishing. Some are poorly written, consisting of the generic content bloggers rehashed across dozens of other blogs and websites. So, how do you identify a quality guest blog post? First and foremost, check for a compelling title. The title plays a vital role in whether people read the guest post. A strong and compelling title encourages users to read the copy, whereas a poorly written title has the opposite effect by discouraging them from reading the copy. Also, make sure the title tag isn’t too long. According to Moz, keeping title tags under 55 characters ensures that your service displays them at least 95% of the time properly. If the title of your guest post is longer than 55 characters, there’s a good chance that it will get truncated by the search engines. In addition to a compelling title, guest posts should include sub-headings. Sub-headings allow users to scan the post for specific pieces of information. If the guest post is particularly long, the reader may prefer to read a specific section rather than the entire copy, in which case sub-headings will help them identify the section. So, how many sub-headings should a guest post contain? There’s no easy answer to this question since it varies depending on the length of the post, topic, goal and overall nature. With that said, they should be included anytime you present a new idea to the reader. When selecting guest bloggers to write for your blog, you should do your homework to make sure they know what they are writing about. If you run a blog about cars, for instance, you wouldn’t want someone with zero experience in automobiles to write content for you. Instead, choose a guest blogger who has first-hand experience in the subject, as this results in better quality content. Even after the guest blogger writes the post, however, you should still take the time to proofread and fact-check it, because even experts are bound to make mistakes from time to time. Notice how our blog posts always have at least once image attached? That’s because images encourage more clicks, reduce bounce rates and promote a higher level of user satisfaction. Therefore, it’s a good idea to include them in your guest posts. To put the importance of images into perspective, a study conducted by Blog Pros found that the 100 highest ranking blogs on the Internet had at least one image for every 350 words. This doesn’t necessarily mean that you need to include this amount of images in your guest posts, rather make sure that each post contains at least one image. If the guest blogger didn’t upload an image, try grabbing a free-to-use image from Flickr Creative Commons or a similar photo-sharing website. Flickr Creative Commons has millions of images that can be used for personal or commercial purposes, assuming you credit the original author. Call-to-actions (CTAs) aren’t used strictly on landing pages; you should include them in blog posts too. Make sure your guest posts have a CTA, preferably around the bottom, encouraging readers to take action. This action can be signing up for an email newsletter, purchasing a product or service that’s advertised on your blog, sharing the guest post on their social media network accounts or just leaving a comment. By telling readers to take action, you’ll benefit from a higher level of engagement. One of the most common mistakes that bloggers make when accepting guest blog posts is publishing the content without first checking the author’s website. Assuming the author wants to include a link pointing back to his or her website, and most do, you should check their website to make sure it’s legitimate and doesn’t violate Google’s Webmaster Guidelines. If you publish a guest blog post that links to a website riddled with spam and other “questionable” content, it could have a negative impact on your own blog’s search rankings. You should segment a good guest blog post into small, easy-to-digest sections. First-timer bloggers and writers have a tendency to create large blocks of text, without breaking them up. When this occurs, it can severely hurt your efforts to attract, and keep, visitors on your blog. This is because humans read by scanning sections of text rather than word for word left to right. When a reader is confronted with a large wall of text, they will likely click the back button in their web browser. So, make sure your guest post is broken up into several small sections so that visitors can read it more easily. These are just a few of the most important elements to look for when accepting guest blog posts. Above all else, though, make sure the post contains unique, high-quality content that your reader cannot find on other blogs or websites. What are your thoughts on guest blogging? Let us know in the comments section below! It's no secret that blogs need unique, high-quality content to succeed. While you can always create content by hand, another solution is to outsource this task to guest bloggers. So, how do you identify a quality guest blog post? keep reading to learn more! 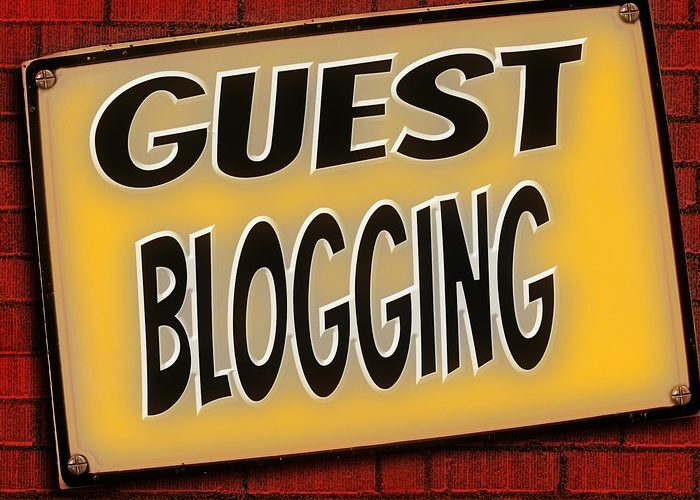 I think guest blogging is a great way for businesses and creative to cross promote. It drives traffic to both sites and shows that you are supporting each other, which is encouraging to people. If you have the time to set up a blog tour after the release of a new book or product, definitely take advantage of it. It’s an interesting way to cultivate new audiences around the world. I’ve done a few guest blogs here and there, but you really have to put a lot of attention on promoting them through your social media networks. You also have to be assured that the person you are guest blogging for is willing to do the same. I personally really enjoy guest blogging because it challenges me to write for various different audiences. Doing a blog tour or guest blogs is wonderful promotion, but time consuming if you don’t plan ahead. If I have a new product coming out I write five or six 500-600 word posts that I can have in my hip pocket for opportunities as they arise. Great article! Thanks for all of the helpful tips. Maybe I’ll try my hand at guest blogging this year.